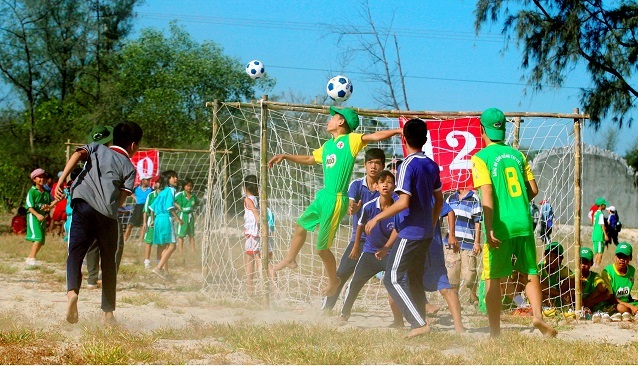 HA NOI (VNS) — The Football for All in Viet Nam (FFAV) has won the AFC Dream Asia award in the non-governmental organisation category as the best NGO working in the football field in Asia. FFAV was initiated and is still owned by the Football Association of Norway. FFAV is working closely with the Viet Nam Football Federation (VFF) and relevant government institutions and partners to create a model for grassroots football in the central province of Thua Thien-Hue. "We are delighted and honoured," says FFAV Director Anders Krystad on nordcham.com. "There is a lot of hard work behind this, and all the staff at FFAV should be very proud of their efforts and determination, which has made this possible. However, I would like to share the credit with all who had worked with us over the years in Viet Nam. Without the commitment and contribution from the government and other partners like donors, commercial companies and other NGOs this would not have been possible." Le Hoai Anh, VFF's general secretary said after over 12 years of operation in Thua Thien-Hue, the federation acknowledges FFAV's contribution to the province's football in particular and Viet Nam's in general.